Our ultimate objective is to deliver, by 2025, an international, high-quality, behavioural trial addressing global behavioral health problems. Members of our core team are located across North America and Europe, and our community of members has begun to reach across the globe. In the years to come, we hope to develop our membership in all regions of the world. 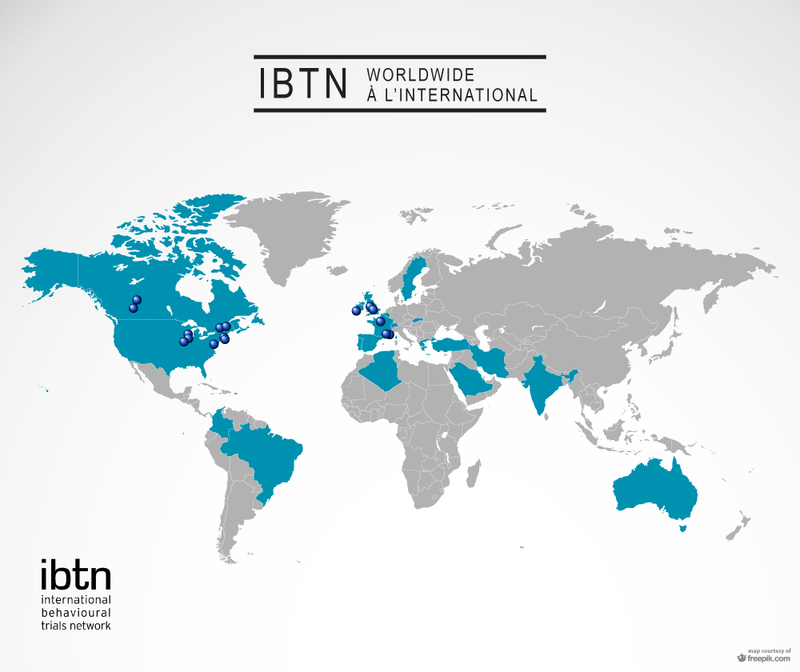 Members of the IBTN’s core team are located across North America and Europe (shown here with blue pins), and our community of members has begun to reach around the globe (as shown here shaded in blue).